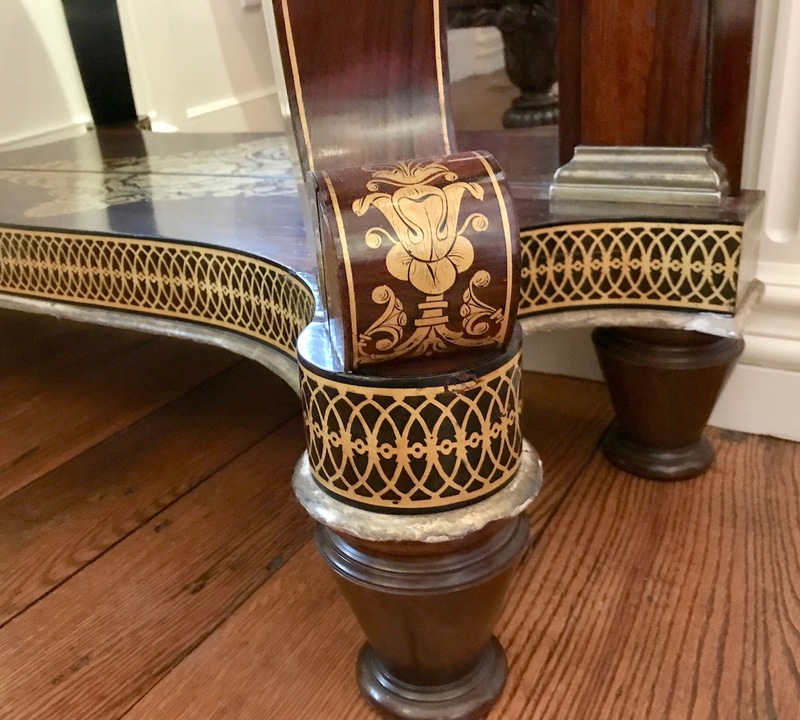 Some of the most elegant and stylish furniture made during the Classical period was manufactured in the New York City cabinet shop of Brazilia Deming and Eratus Bulkley. The firm early on found a ready market for their latest New York fashions when their goods were eagerly received by Charleston’s upper end market. 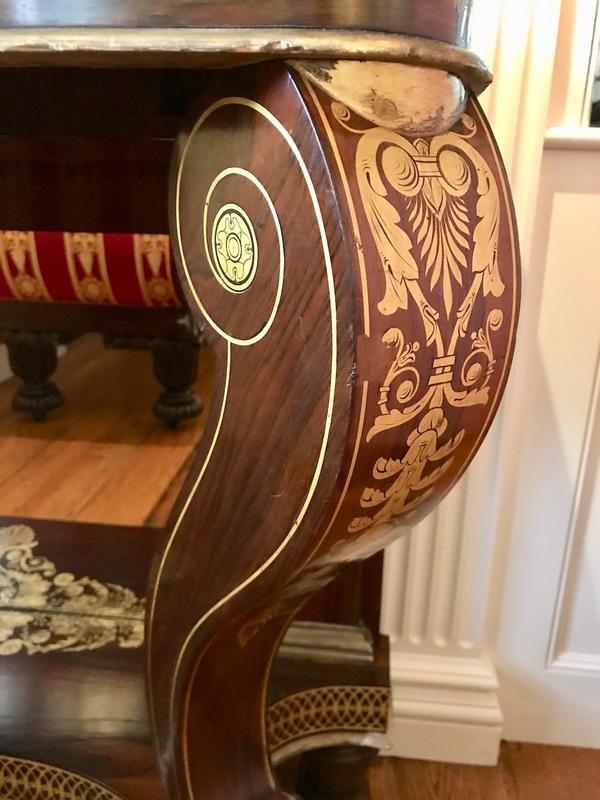 Their elaborate gilded decoration and the lavish use of exotic rosewood were considered the height of fashion. 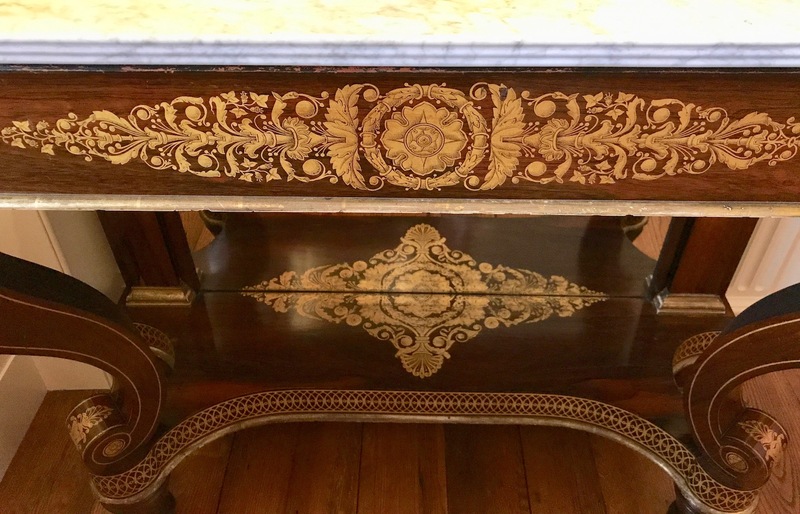 On this rare pair of pier tables, the ornamental painters used three types of freehand gilding to imitate the decorative effects of carving, ormolu mounts, and die-cut metal inlay. 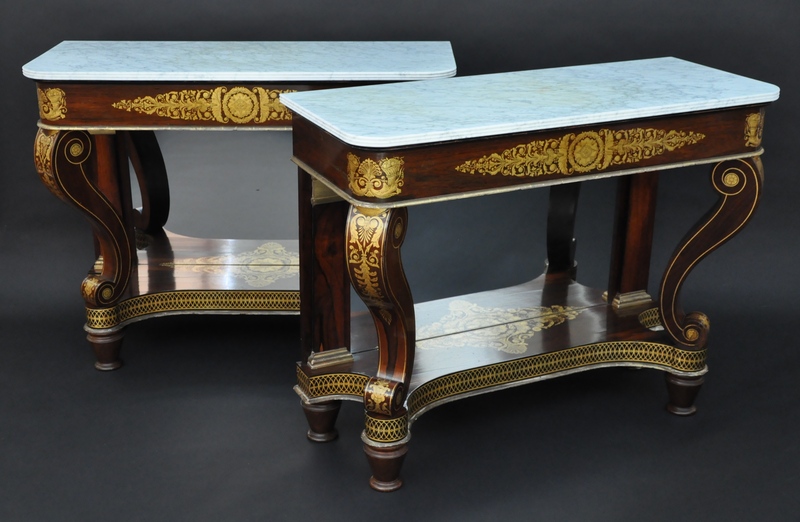 The tables are finished with matching Carrara marble tops with triple reeded edges.